It takes only a second of inattention to cause a vehicle accident. 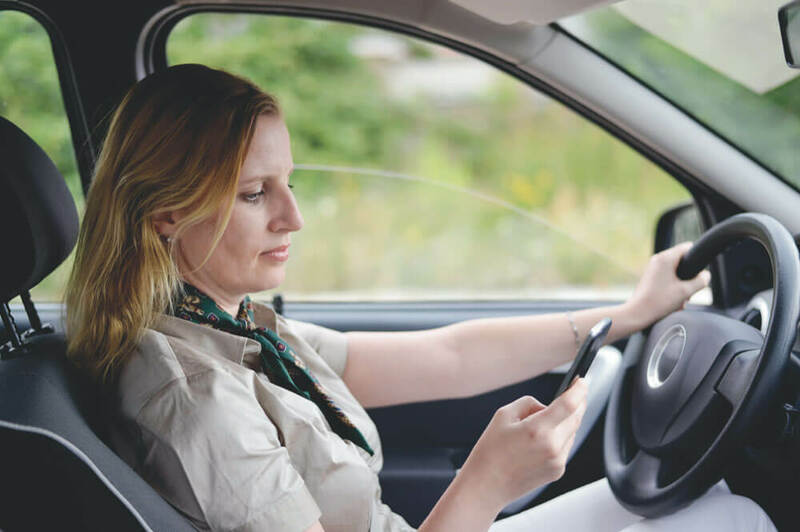 Nowadays, texting while driving is one of the biggest driving distractions, though it is not the only one. When we do not devote our complete attention to driving, we put ourselves, our loved ones, other drivers, bicyclists and pedestrians at risk. To keep everyone safe, try these tips to avoid being distracted while driving. Put your phone out of reach. Put your purse in the backseat or trunk, and put your phone either on the backseat or in the glove compartment. Enable the “do not disturb while driving” setting on your phone. When this setting is on, text messages, calls, and notifications will not come through. You may configure it to allow emergency calls, such as when someone calls multiple times within a few minutes. Eat before or after your trip. Eating involves taking at least one hand off the steering wheel, and it means your attention is not 100 percent focused on the road. If this is not possible, try to make your snack choices easy and quick to minimize the distraction. Finish getting ready at home. Applying makeup or shaving are never things you should do while driving. They take your attention off of driving and take your hands off of the wheel. These steps will make you and others safer, and keep you from losing your license or seeing your insurance rates skyrocket. In 2017, a ticket for using a mobile phone while driving added $226 to the average insurance policy, an increase of 16 percent—which is up from $23 in 2015. While this might not seem like much, and it is not the biggest insurance hike you can see for a driving infraction, it can be a large increase for many people. When examining the average state-minimum annual rate for car insurance, an additional $226 dollars would be an increase of 33 percent in New Jersey. On a lighter note, safe driving can help lower your insurance costs. If you want to know if you qualify for a safe driving discount, contact us! We can review your policy and driving record to see if you qualify.